A Tray of Bliss: Embellished luxury chocolates...great quick gift idea for the craft challenged! Embellished luxury chocolates...great quick gift idea for the craft challenged! Beautifully embellished luxury chocolates can be very expensive in the high end designer chocolate shops, but fortunately they're easy to replicate. My chocolate bars are all Lindt, and they are the perfect size and thickness to wrap and decorate beautifully for gift giving either simply with a card, or as part of a larger hamper. This one is wrapped in a sheet of pink A4 paper. A small paper doily is glued around the base, and stick on diamanté` dots glued in a pretty swirl. Silk crafting ribbon loops, swirls and flowers are held in place with tiny dots from my hot glue gun. I just randomly swirled the ribbon as I went, fastening it with the glue as when the design pleased me. A final diamanté` in the centre of the flower and a couple randomly dotted here and there to catch the light is a pretty effect. Finished with lush milkshake pink velvet ribbons, this one is a favourite. This second one was done for a male teacher. Simply wrapped in a square of black crafting felt, and held together with thin red satin ribbon, it has a hand made gift tag made from black cardstock attached. 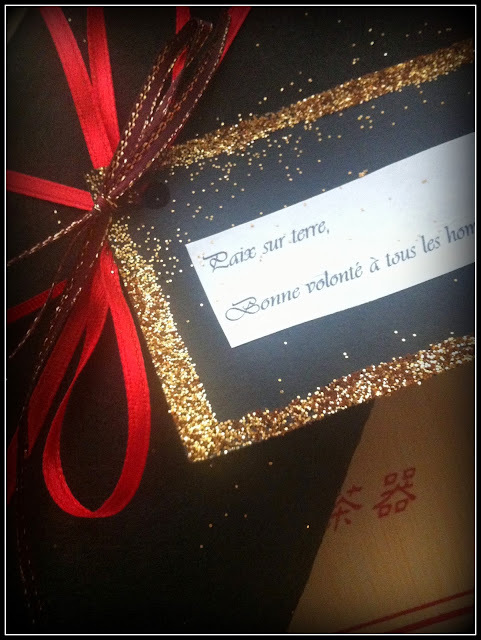 Messages reading 'Peace on Earth, Goodwill to all men' in French, typed up and printed out to size, are glued to the cardstock, and copper gold glitter is applied to the edges. A festive, yet masculine idea. This third one is my teenaged daughters favourite. It features a desktop wallpaper image of two Japanese Anime style friends, fingers linked pinky style as a sign of their bond. Decorated with black ready made rhinestone swirls and navy blue velvet ribbon, it's a pretty gift for a schoolfriend. 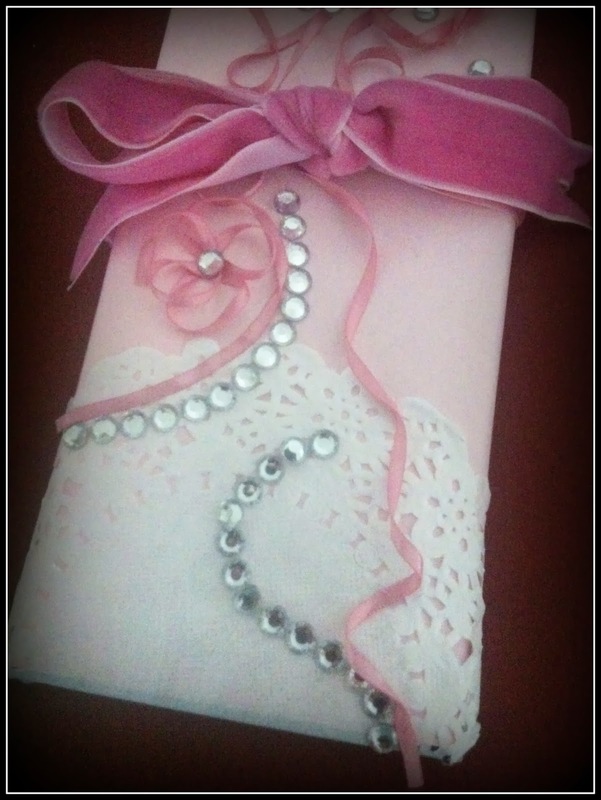 Finally, simple and traditional, this one was gifted to her teacher yesterday along with a heartfelt handwritten card. 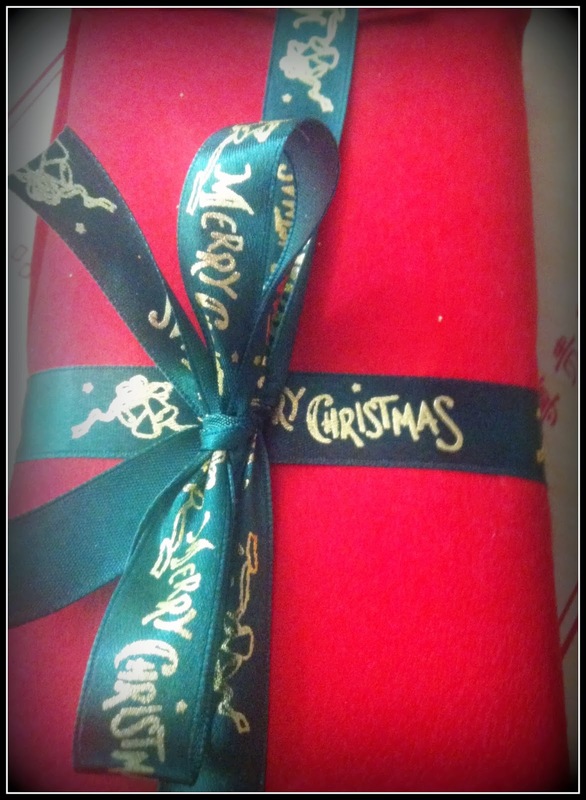 Simply wrapped in red felt, and tied with Christmas ribbon from a Cake Decorating supplier, it is simple and elegant. These chocolates were under $4 each, and the embellishments not much more. Gifted with a handmade or bought card, with a message from the heart therein, they'd be a gift welcomed by anyone, young or old. Love your ideas here! The pink is especially pretty. Thanks for stopping by Quaker Hill Farm. It will be nice to become acquainted with you. Have a wonderful day. What a lovely blog you have - full of ideas for re-making and appreciating things that are out of the ordinary! I'm so glad you found me so I could find you back! I love the falling sparkle - it makes your pages magical! Love these luxurious chocolates and Lindt is one of my favorite brands! Wrapped with love, these will make perfect gifts! hmm now who's going to be the recipient of such a lavish gift. im definitely going to put more.pizzaz into my gifts for this year. thanks Mimi. SO sweet. 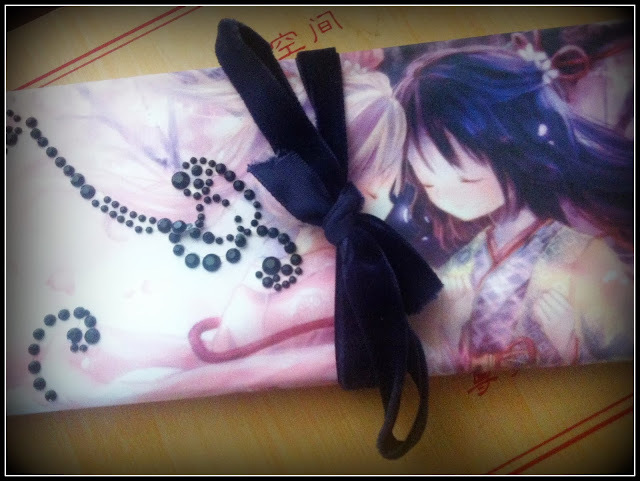 I LOVE the anime wrapping. What a fun idea! I love all of your pretty embellishments, and who wouldn't want to receive a bar of delish chocolate? Lindt is my very favorite! Thanks so much for visiting my blog, and for your sweet comments on my crate!! Yes, these are Lindt blocks Donna. Aren't they lovely like this? I love Lindt chocolate! Dressing them up makes them a very special gift. Thanks for sharing with SYC. Lovely packaging ideas! Thank you so much for sharing with us at Thursday Favorite Things blog hop.